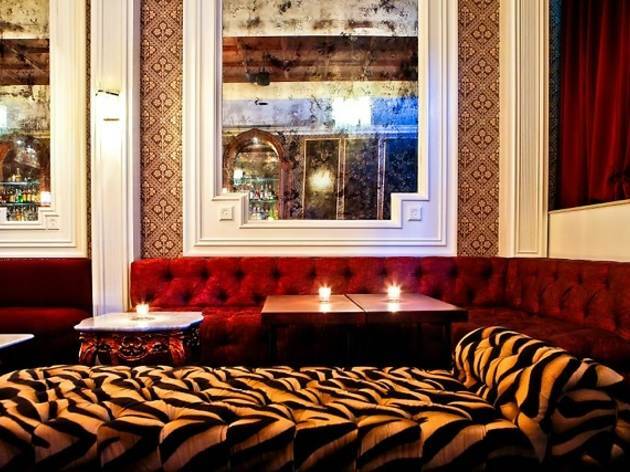 Inside an elegant, wallpapered parlor, choose from a row of vintage bar stools or settle into the maroon upholstered banquette as you sip expertly crafted, medium-priced cocktails like the Boulevardier (Bourbon, Carpano Antica Formula, Campari). Ideal for small groups, the kitchen also serves cheese boards, small plates and burgers, while backgammon boards provide a bit of postprandial diversion. 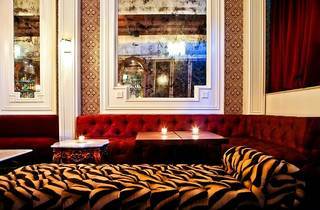 Great drinks, fancy/bougie atmosphere. Came here for a birthday party, was a lot of fun! Its the best cocktail bar on the Westside! Great staff, great drinks!